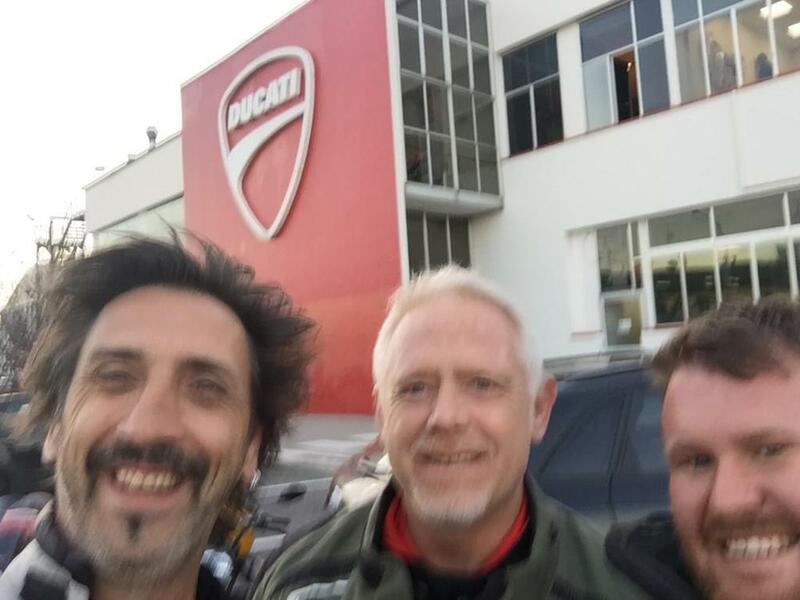 Outside the Ducati factory with three Ducatis that the Ducati people were kind enough to lend us. Mat isn’t in the photo because we forgot to bring someone to take photos, hence he took a turn behind the camera. You may have noticed that there has been an eerie silence on this site this past week and we can only apologise. The truth is that we have been on holiday. Actually, it’s more like “holiday”, depending on whether you are using Mat and Harry’s definition or not. All the three of us, plus a decidedly overworked cameraman, flew to Italy where we spent the week doing motorcycle things and filming it all. 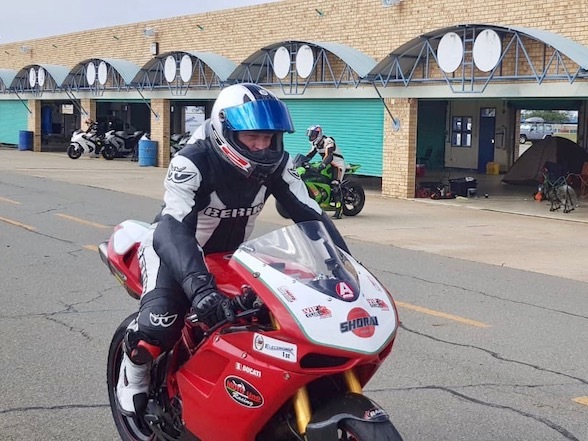 Upon our return, we probably had enough to fill six episodes of The Bike Show TV, all of which won’t appear on the show – although the really good stuff will be there, probably three shows worth – while the rest will be shown on a new project we are busy with. More of that soon. 1/50,000th of the EICMA Show. 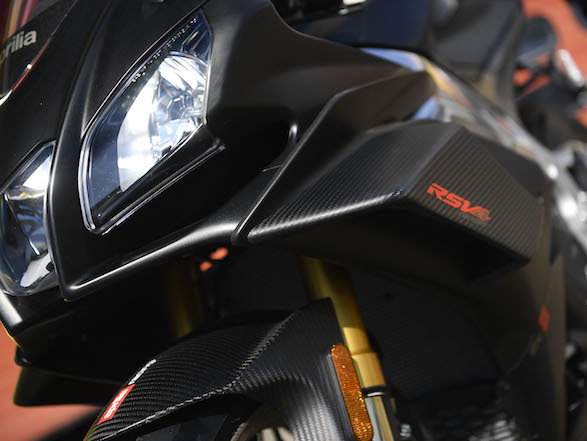 The “holiday” started with the EICMA Motorcycle Show in Milan, more specifically the Fiera Milano Exhibition Centre in Milan, a venue that is awesome in the original meaning of awesome. Let’s put it into perspective – the venue is made up of 23 halls, each about the size of a Free State town. The entire East Rand Show can probably fit into one of those halls. 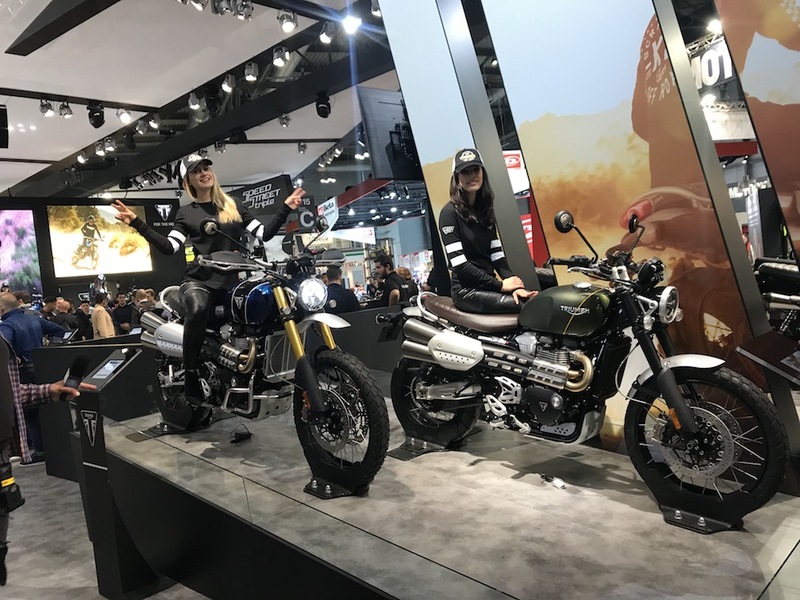 The EICMA Show made use of six of them filled with 1200 different stalls including all the big motorcycle manufacturers from all over the world, and the place where most manufacturers launched their new models. We spent two days there, walking 16 km on the first day and 18 km on the next day yet we still didn’t see everything. We did get some fantastic interviews, some fantastic reveals and did some very corny pieces to camera. Do you know this electric brand? Us neither. And it’s one of probably 100 more. We will bring you highlights from the show in stories over the next few days, but what was interesting was the amount of electric scooter and electric bicycles from manufacturers you have never heard of. There were tons of them; every man that has an uncle is doing it. If you think about it, it makes sense – if you look at the streets of Milan, there are scooters everywhere, and electric is the new black. 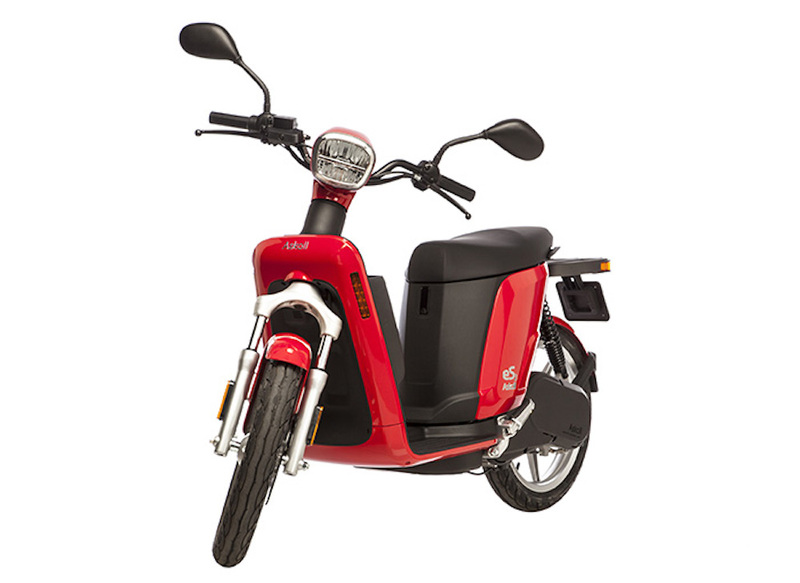 Building an electric scooter is comparatively simple – you buy an engine and batteries from an extensive list of suppliers, you buy brakes, suspension and wheels from an equally extensive list of suppliers, get a plastics business to mould something with sharp lines and get a welder to join it all with steel piping. Then get a 13 year-old to design you an app and you’re in business. Why selfie taking is a skill left to 13 year-old girls. After EICMA, we took a 300 km/h train to Bologna, the home of Ducati, where we picked up a Multistrada 1260, a Supersport and a Monster 821. 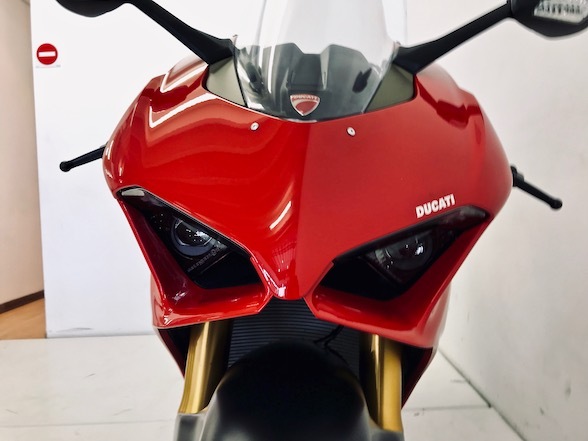 With a 200 km freeway ride back to Milan, the Multistrada seemed like the best choice and the one we all wanted, so Mat suggested we do this democratically – one man, one vote. 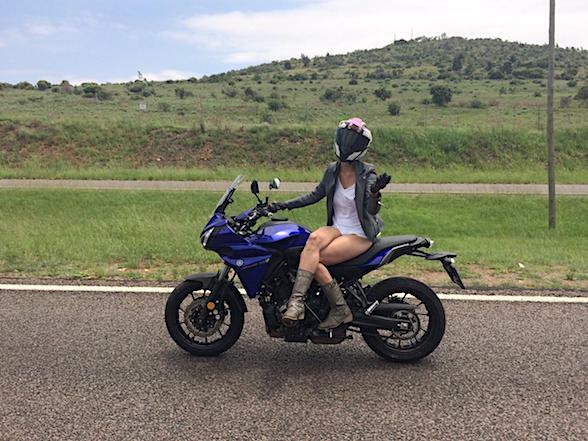 He was that one man, and he voted that he should ride the Multistrada. The next day we took a ride to the Pirelli test track a little outside Milan, and the place where they do all their wet weather testing. 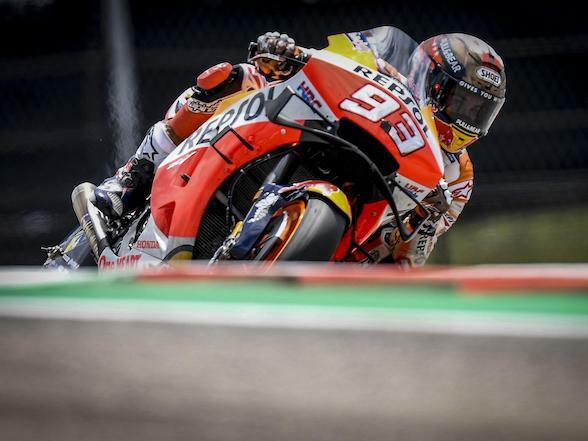 There is a track, braking test strips, an aquaplaning strip, a slalom course, drifting circles and even a Cadwell jump, all surrounded by sprinklers that can maintain a predetermined level of water. 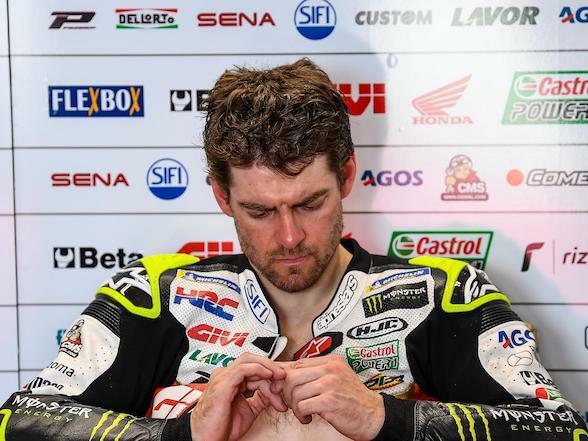 What was interesting is the amount of testing that takes place with the “poor” test riders having to do as many at 1500 wet brake tests in a day, and then having to do the other tests also. 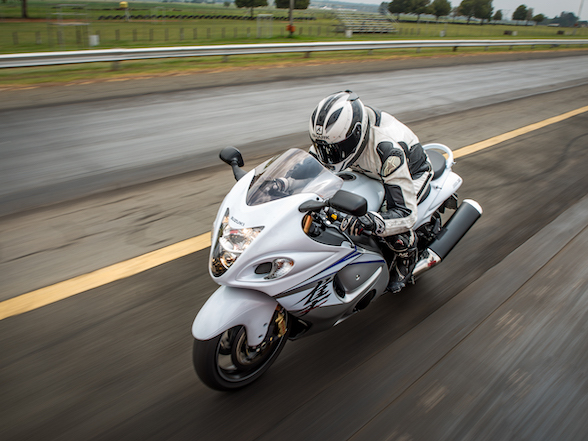 And this is only wet weather testing – the dry testing takes place in a completely different facility in Sicily. 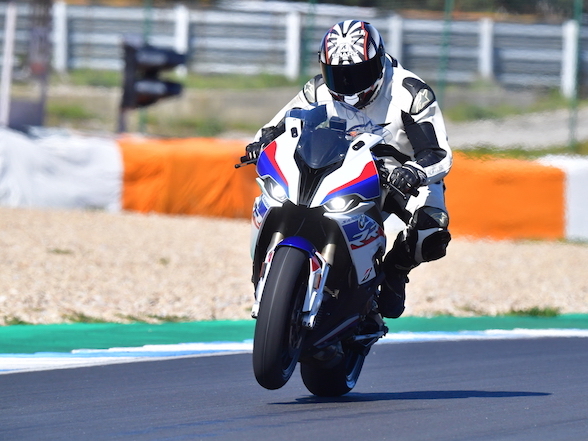 We did some laps on our Ducatis. Slowly. Partially because it was wet, partially because it was cold but mostly because we were scared. The head of the test team – an ever smiling man named Salvo – outrode us on a Harley-Davidson. 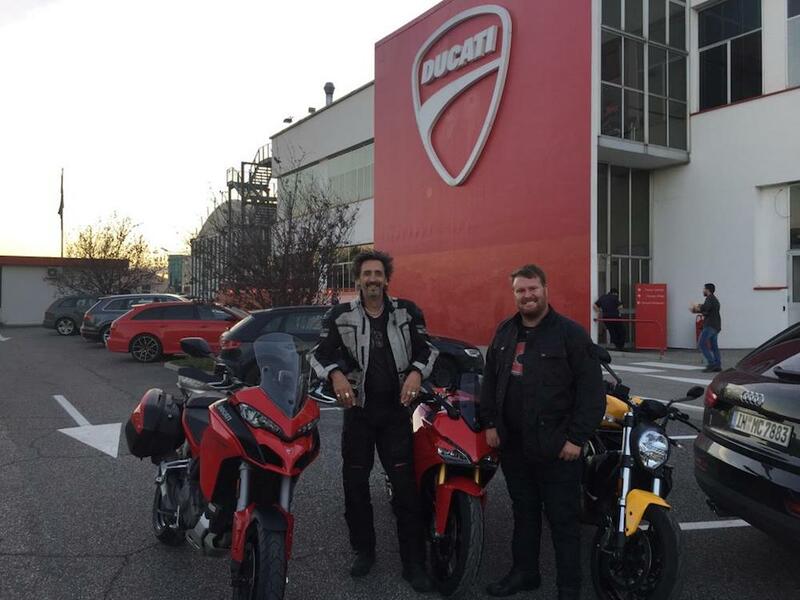 Fleeing with as much of our dignity as we could maintain, we headed back to Bologna to tour the famous Ducati Museum situated at the factory. It isn’t a big museum, but Ducati are more about quality than quantity and it’s only their pride and joys there, such as the first Ducati, the first race bike (interestingly released the same year as their first bike, something that tells you all you need to know about the brand), the first Desmo, the first Scrambler, their first adventure bike (not a Multistrada, interestingly), their first superbikes, the first Monster and of course all their famous race bikes and the stories between them.